Mindy Kaling is a comedy writer whose work includes syndicated comedy "The Office" and her own show, "The Mindy Kaling Project," now in its third season. Mindy's quirky nature befits a comedy writer and star, and she likes to share her favorite things when asked. As a shopper, Kaling's tastes are eclectic. "My two favorite stores - being totally honest - would probably be Opening Ceremony and Home Depot," she tells Allure. "I moved into my house in Los Angeles and I am constantly wanting to fix things up within my level of expertise . . . [at Home Depot]. And then obviously Opening Ceremony; I love because I can always find clothes that are 70 percent awesome and 30 percent weird, which is my favorite combination for fashion." She confesses to coming into her love of makeup later than most. "I think I wasn't allowed to wear makeup until junior year of high school," she admits. "I wore eyeliner and lipstick. But for the most part, all my makeup could fit into the tiniest Ziploc bag . I look back and I think it's nuts." These days, Kaling has quite the collection of makeup. "Oh my God, my collection," she gushes. "I love products. I like to have a lot of choices. So right now all my makeup when I go on trips could fill one of those bags that's meant for your hairdryer and like your hot rollers and stuff." Although she navigates the comedy set and the red carpet with ease, Kaling admits that she enjoys the freedom she gets from identifying first as a comedy writer rather than actor. "I'm lucky because I feel like I can have fun. I'm 5'4". I'm a comedy writer. I'm like kind of chubby. . . . I can wear an assymetrical dress because I'm not under the same scrutiny as models and stuff. I like whimsical clothes." Kaling does have a beauty secret that comes from her heritage. "This is an Indian thing - my mom makes me heat up coconut oil, put it in my hair, and wrap it in a towel. It keeps it shiny," she tells People magazine. 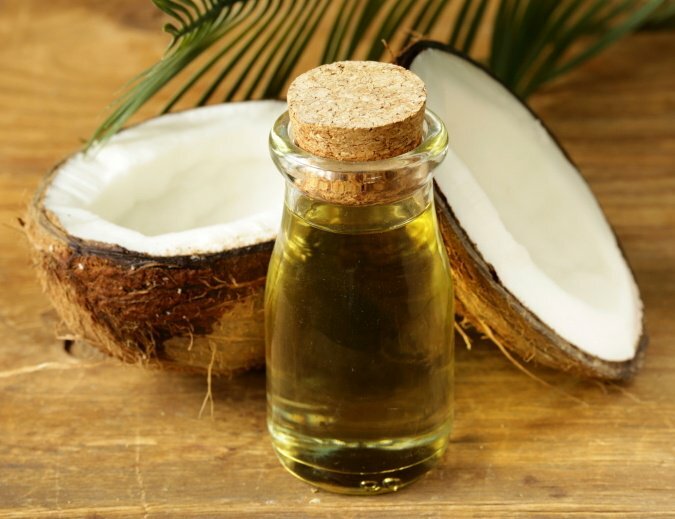 The benefits of coconut oil for hair have long been known to many women. Its medium chain fatty acids slip easily into the hair shaft, hydrating it as well as providing vitamins and nutrients. Experimenting with the right length of time to soak hair in the oil can leave hair healthy without being limp or greasy. For hair that is already well hydrated, just putting a bit of oil on the ends of hair before shampooing may be all you need. Biconi's hair care products contain virgin coconut oil as well as other plant extracts that nourish hair. No drying chemicals means that hair gets maximum hydration benefits as well as preventing further damage. If your hair is extremely dry and brittle, Biconi's 100% Cold Pressed Virgin Coconut Oil can be used to soak your hair like Mindy Kaling does.